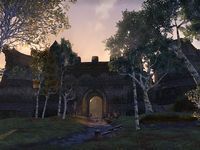 Sacked over a century ago by raiding Orcs from Yashnag's Kingdom, the fort known as Faldar's Tooth has been left to decay ever since by the Jarls of Riften, who have had no need, or no funds, to rebuild it. 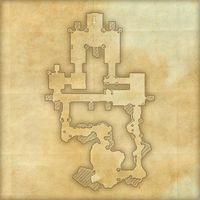 Faldar's Tooth is a ruined fort in the central Rift, east of Honrich Tower containing Darkling cultists. Rozelun can be found in the cave-like chamber, in the southern part of the fort. Faldar's Tooth also appeared in Skyrim.